A Management Information System is an integrated user-machine system, for providing information, to support the operations, management analysis & decision-making functions in an organization. 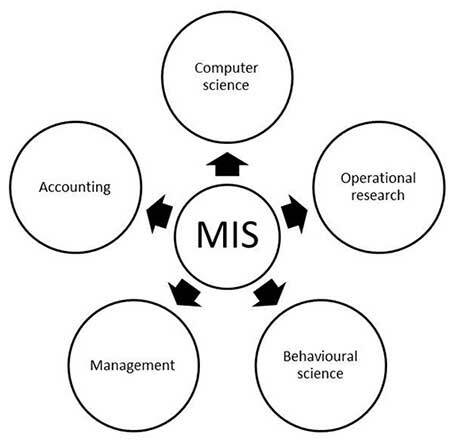 Management Information System is also called MIS. The report and model output can be provided in a tabular or graphic form. Management Information System is a general term for the computer systems in an enterprise that provide information about its business operations. It’s also used to refer to the people who manage these systems. Typically, in a large corporation, “MIS” or the “MIS department” refers to a central or centrally-coordinated system of computer expertise and management, often including mainframe systems but also including by extension the corporation’s entire network of computer resources. In the beginning, business computers were used for the practical business of computing the payroll and keeping track of accounts payable and receivable. As applications were developed that provided managers with information about sales, inventories, and other data that would help in managing the enterprise, the term “MIS” arose to describe these kinds of applications. Today, the term is used broadly in a number of contexts and includes (but is not limited to): decision support systems, resource and people management applications, project management, and database retrieval applications.